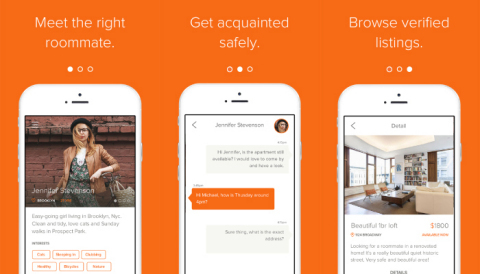 NEW YORK--(BUSINESS WIRE)--Roomi, a free mobile app that simplifies roommate and housing search, announced its official launch today out of beta with a number one ranking in the Apple App Store for finding roommates alongside a round of $2 million in seed funding led by DCM Ventures. Roomi has seen early, rapid interest from users, locking in approximately 100,000 downloads and growing. Roomi plans to use the funding to ramp up with new features, expand to Android and hire top-tier talent. DCM Ventures is an early stage venture capital firm based in Silicon Valley, Beijing and Tokyo with more than $2.5 billion under management. Our team's global DNA and extensive industry expertise empowers our entrepreneurs with hands-on operational guidance and a global network of business and financial resources. DCM Ventures has invested in more than 250 technology companies across the United States and Asia backing numerous industry leaders over our 20 year history. Successful exits (IPOs and M&As) include, among others, China-based: 51job, 58.com, 99Bill (Wanda Group), BitAuto, Dangdang, Luxin, Renren, Tuniu, and Vipshop; Japan-based: JCI, Kabu.com, Pokelabo (GREE), Scigineer, and StarFlyer; U.S.-based: About.com, Basis (Intel), Fortinet, PGP Corporation (Symantec), SandForce (LSI), Slice Technologies (Rakuten), and Sling Media (EchoStar) as well as eDreams in Spain and Daum Kakao in Korea.